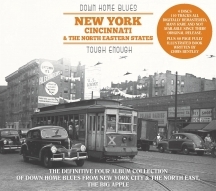 The box set contains the down home blues of the territories of the North Eastern States that encompasses two important cities that certainly helped in the development and growth of this blues genre. Mainly from artists who were far more comfortable playing their music within the bars and out-of-town juke joints. The tough little venues that were quite different from the bigger rhythm and blues, jazz orchestrated venues that New York and Northeastern cities had established for those bigger sounds. This is black American musicians, many with pre-war country blues roots which had evolved with an edge that didn't have to come out of the Delta and migrate up to the Illinois or Michigan cites during and after the Second World War. Here, many hailed from Florida, Georgia, Alabama and The Carolinas. 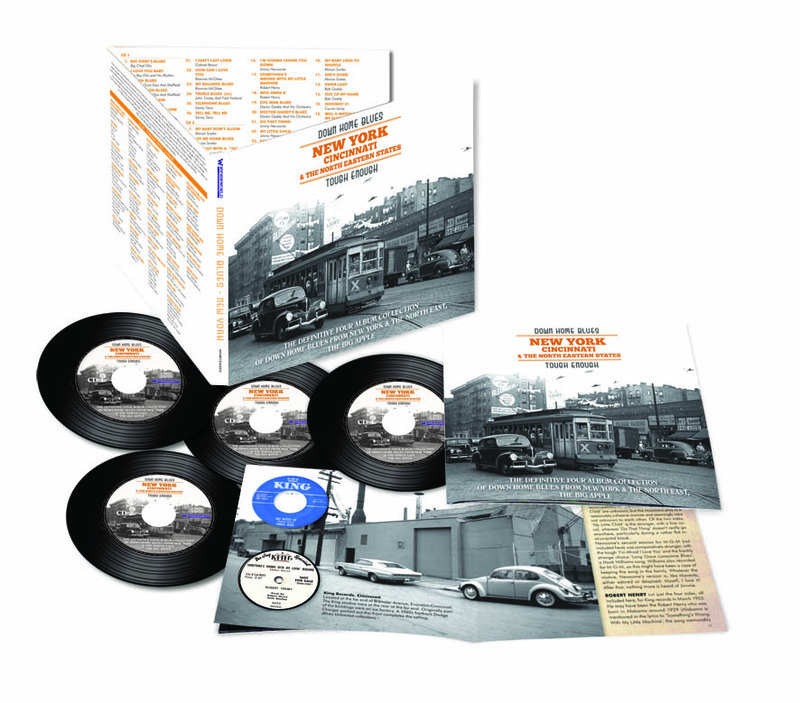 110 performances from single solo artists who were lucky enough to get just one, sublime record release, up to the tight small combo groups of musicians whom all produced equally fine intense recordings. A treasure trove for fans of raw urban blues. Once again, the people at Wienerworld have come up trumps with a combination of the semi-obvious and high rarity. So, dig in and enjoy - you won't regret it!